Speech analytics is just one of many technologies that are quickly improving the way you do business. While many call centers have some kind of call analysis program in place, many only provide a 180-degree view of what’s going on. With speech analytics, you’ll get a full 360-degree view. Here are three benefits of using speech analytics that you might be missing out on right now. 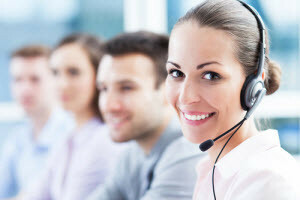 One of the major benefits of adding speech analytics to your call center solution is that you have the ability to sample all of your calls. In random monitoring, you get a select number of calls for your review and they may not be the best samples and/or they may not be in every category you need. But with the speech analytics software, your calls are automatically categorized and can help you quickly get to the type of call you’re looking for. The benefit of this is twofold. Not only will you get a more accurate sampling of what’s going on during each call, but you’ll also be able to more quickly see the red flags within your organization. Overall, speech analytics gives your team the tools needed to ensure call quality through a thorough and tested monitoring system. In addition to the actual implementation benefits of utilizing speech analytics, there’s a substantial logistic benefit. 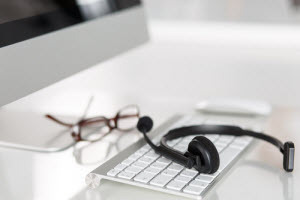 Utilizing speech analytics instead of random monitoring not only uses less time, but it’s also easy to add to your call center solution and is incredibly efficient. In general, the speech analytics software is incredibly easy to implement since there isn’t a need for an in-depth calibration time. You have the ability to search for the keywords and phrases you’re interested in, so the setup is simply to add the technology to your solution. The ongoing maintenance and use of the speech analytics system is also incredibly easy. Designed to be used by any level of management, the system doesn’t necessitate a lengthy training process. The interface is easy to use and gives you the information you need in a short amount of time. Whether you use the speech analytics software for compliance management, quality control, or to determine customer satisfaction is up to you, but the process for each use is the same. Probably the biggest overall business benefit of utilizing speech analytics is the ability to find broader implications to your current offerings and practices. Through analyzing the data derived from the speech analytics software, you may find that there are some opportunities for your business to improve your marketing techniques and even expand your product offerings based on the demands of your customers. Speech analytics provides the opportunity to get faster and more inclusive results from your marketing programs and competitive offers and to learn the preferences of your ideal customer. By leveraging this tool and the associated analytic techniques, you can better serve the needs of your customers and provide a more tailored experience for your ideal customer.